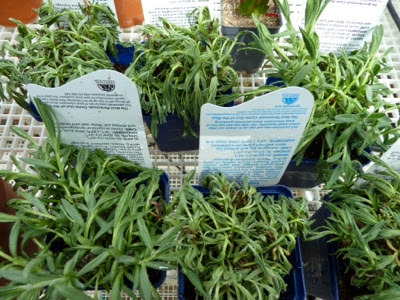 My Home and Garden: Oooops, I almost killed all my baby Lavender Hidcote. Oooops, I almost killed all my baby Lavender Hidcote. These little pots of lavender were under the grow lights and on the heat mat in the greenhouse. I went out today blissfully unaware. They were a disaster. If I had waited half a day more, I think they were be beyond hope. After much water all but two look almost back to normal.